"Did you read the directions?" "Alright. What's your question about them, then?" How many times have you had a conversation like that? As you can tell from my gif there, conversations like that tend to bring out the grumpies in me. It doesn't have to be that way! Making quick videos and animations through services like Xtranormal or Go!Animate are an easy way to introduce assignments and projects or to draw your students into the lesson with something other than your (handsome) face. Take, for instance, this area problem from my Applied Math book. 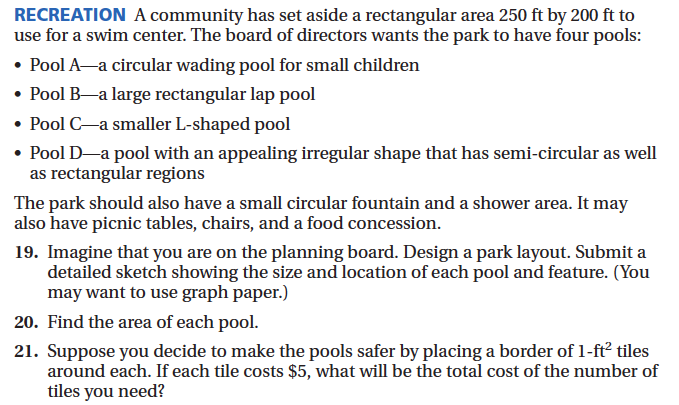 I like it because it has elements of being open-ended, offers some choice for students, and secretly requires some scale factors and unit conversions. If students don't read the paragraph on top, this is nearly impossible to do "right." 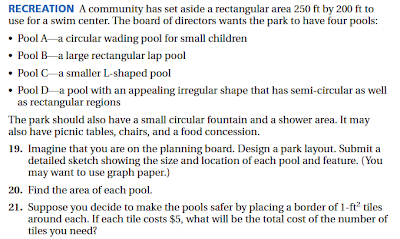 When my students did this problem 1st hour, I had several "I don't get it," questions - way more than I should have.